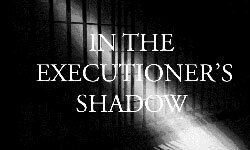 Is a Death Penalty Needed to Assure Public Safety? Supporters of the death penalty say, “once executed, a violent criminal will never harm anyone again”. While this is true, there is no evidence that a death penalty is superior to the alternative of life without the possibility of parole. The professionals working in the Oregon Department of Corrections do a great job of keeping the public safe from violent criminals. Life without the possibility of parole works very well to keep the public safe. Those states that do not have a death penalty generally have a lower murder rate than those states with a death penalty and the public is just a safe. The safety of prison personnel is another important element of public safety. It is a fact that there have been murders in prisons in Oregon and other states. Oregon has not had a single murder committed by a person on death row. While Oregon has 37 people isolated on death row, there are 137 prisoners in the Oregon penitentiaries, serving sentences of life without parole. According to prison personnel, the “lifers are the best behaved prisoners in the entire system”. People who are living a life of crime on the streets are in much greater peril of being a victim of violent crime or murder than when they are in prison. In addition to the 37 people on death row and the 137 true life prisoners, there are over 600 people in Oregon prisons serving sentences for murder with the possibility of parole. According to the Oregon Department of Corrections records, there have been 11 murders committed in the entire prison system, in the past 27 years, which is as along as those records have been kept. That figure equates to one murder in prison for every two years and four months.....less than one for every two years and four months. Any murder is deplorable. But, with the effectiveness of the Oregon corrections professionals, the murder rate on the inside is no greater than the murder rate on the outside. Not having a death penalty will not make a difference in public safety. The things that make a difference in public safety and deter violent crime and murder are more police on the streets, better investigative tools, more rehabilitation programs for the addicted, better schools and interventions into abusive households. Why waste a millions of dollars on a death penalty, when the savings could be invested in the programs listed above that do deter crime and keep the public safe.